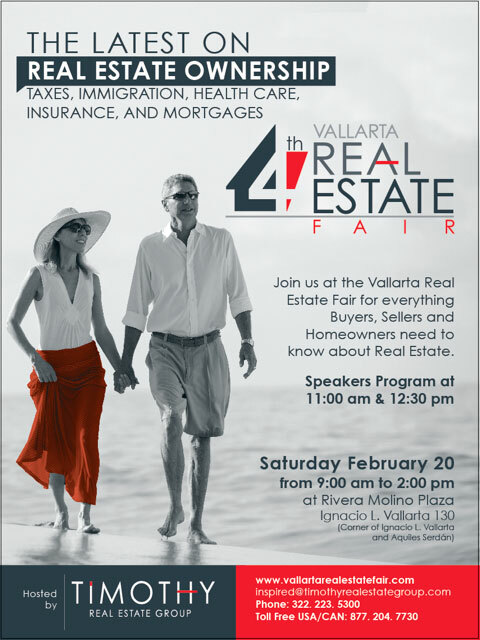 Timothy Real Estate Group continues its leadership role in Puerto Vallarta and Riviera Nayarit with its fourth production of the Vallarta Real Estate Fair to take place on February 20, 2016 from 9 am to 2 pm in Colonia Emiliano Zapata at the Rivera Molino Plaza (corner of Aquiles Serdan and Ignacio Vallarta). 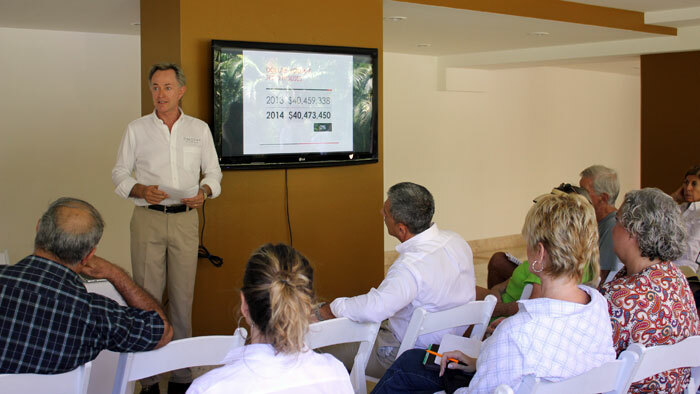 This is a valuable information experience for buyers, sellers and those currently holding a piece of real estate in Mexico. Attendees will learn the latest market statistics and industry trends, meet professionals and obtain practical information on all aspects of investing and ownership in Mexico. Participants can interact face-to-face, get advice and do business with legal, notarial, escrow, lending, insurance, banking, rental, property management, construction, design, travel and health professionals. Get all information, map and exhibitor’s list at www.vallartarealestatefair.com.